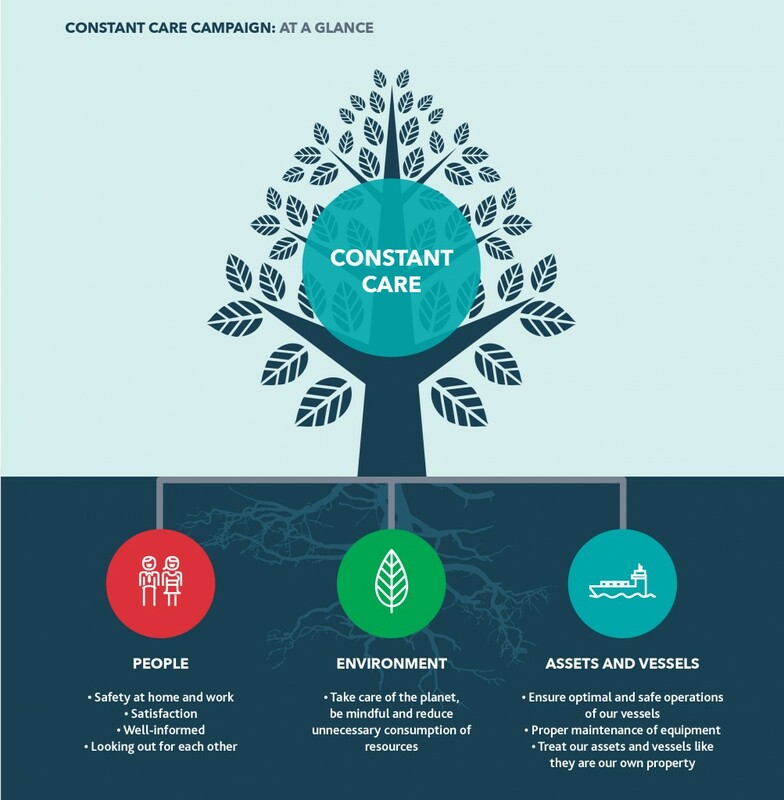 Constant Care refers to the continued care of our people, environment, jobs and assets. Constant Care is at the heart of how we operate and ensures the continued success of our business. Care is a vital part of ensuring our people are kept safe, satisfied in their work and our business is successful. Care needs to be consistent and constant to be effective. At the very top of the list are people. People both ashore and onboard are the essential core of ensuring MEO operates as a successful business. MEO wants to ensure that our people are treated fairly, kept well informed on relevant company and employment matters, provided adequate care in case they are injured, relieved in a timely manner, provided opportunities for job advancement and fully supported in their authority to stop work on grounds of safety. Onboard, every crew has a duty to look out for each other and treat others with respect. Caring for our environment is a pressing issue to ensure minimal environmental impact to the surroundings and community where we operate in, for a sustainable future for us and our future generations. Our vessels are the hard assets that when put to gainful work ensure that MEO is a successful business and benefit each of us and our families with a good living. It is important that constant care is taken in operating them safely and ensuring our vessels and equipment are properly maintained and treated as if they were our own.